Of all the people that Halloween is important to, above all are the kids. They get to engage in trick or treat, dress up as basically whatever their heart desires and score some free candy. Studios often tap into this by releasing Halloween or sorta-horror themed kids films at this time of year. For Halloween Week I checked out a couple that had opened recently in Australia. 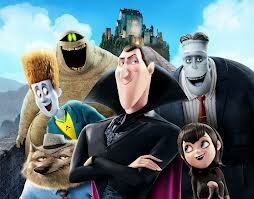 Despite thinking it was a cute idea, expectations were pretty low for me when I checked out Hotel Transylvania. Having Adam Sandler attached to a film generally has that effect these days. Looks like others had the same thoughts, as the early morning weekend session that I went to saw me all alone, in my local complex’s biggest cinema. Having said that though, the film has performed really quite well at the box office, despite not being a received that well by critics. I suspect that word of mouth may have had something to do with that, because the film is really quite charming and more enjoyable than a majority of animated flicks I have seen of late. The titular Hotel Transylvania is run by Dracula (voiced by Sandler) who set it up as a place for his fellow monsters to escape the oppression of humankind. There is a wonderful inversion of horror norms running through the entire film, with Dracula and co all doing anything they can to avoid crossing paths with any people. The simple storyline sees preparations for Dracula’s daughter’s 118th birthday party thrown into disarray when backpacker Johnny stumbles across the hotel. Along with Dracula, the film features a veritable who’s who of film monsters – The Mummy, Frankenstein, Frankenstein’s Bride, Quasimodo, The Invisible Man and The Wolfman all at the hotel to celebrate the occasion. It is great to see that the visual look of these characters has been thoughtfully designed, delightfully reinterpreting their most iconic iterations. Much of the fun in the film comes from the riffing on horror conventions, Dracula as a doting dad one such example. The character of Johnny is a hilarious one, a brilliant cipher of every backpacker you have ever met, with the lingo and the spirit of this lifestyle spot on. Despite the occasional juvenile moments (it is a kids flick after all), the script in general is very clever. Skewering with abandon but also throwing in enough simpler jokes so that kids will not be bored. And also avoiding the Shrek trap of aiming too hard for pastiche and forgetting to tell a story at all. I guess one aspect of this film which jars a little and is probably a little off-putting for family audiences is a couple of instances where Dracula flies into a rage. These are only very brief moments, but they are genuinely frightening and would be especially so for young kids. It seems strange to include them at all when they do not add a whole lot to the film overall. The film also nearly finishes with a truly terrible song and dance number. But saves grace a bit by actually closing with a Pink Panther-esque, traditionally animated credits sequence which was a cool way to finish things off. I was hoping to be mildly entertained by this, but it exceeded that. I had a really good time with this film, and found myself laughing quite a lot actually. Proves that in an animated film thoughtful design and a clever script can go a very long way. The second kids film that I checked out was the rather more anticipated Frankenweenie, a stop motion film from the mind of Tim Burton. The folklore goes that when he was working at Disney in the 80s Burton decided to make a short film. 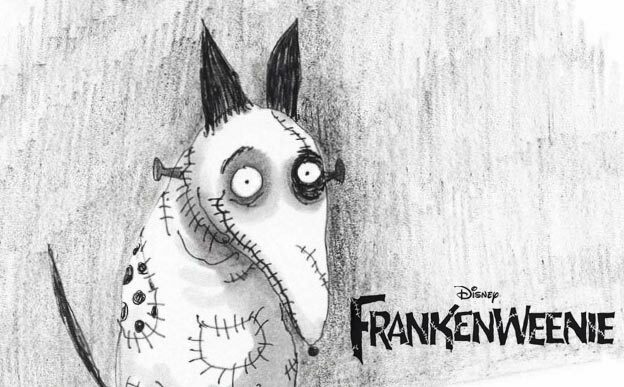 Instead of happy singing & dancing, Burton turned out the short Frankenweenie, a much darker tale. So dark was it in fact, that Burton was fired from Disney as a result. It is rather ironic then that the House of Mouse are actually behind this version of the film. They’ve come around to Burton’s vision, albeit the best part of 30 years later. This film looks utterly fantastic. Black and white is used, as it should be in any old school horror homage, and it makes everything look really sharp. Burton employs 3D cleverly too. There are no gimmicky flourishes here, just some subtle enhancing of depth, and I think it makes the film look much better. I rarely see films in 3D, but I am glad that I forked out the extra bucks for this. Right the start Frankenweenie is referencing classic horror films, especially James Whale’s Frankenstein. The plot sees Victor, a lonely child with no friends besides his beloved dog Sparky, distraught when his dog dies. Inspired by a wonderful new science teacher, Victor gets his Dr Frankenstein on, and brings Sparky back to life with a little help from a lightning storm. The plot follows this reanimated dog and the effect that it has on the community where they live. Things get especially interesting when Victor’s classmates discover the secret of his success and try and replicate it for school science fair glory. Poster featuring the awesome Sparky. There is a beautiful, and you would have to suspect autobiographical moment early in this film. Victor proudly sits down with his mother and father and shows them his latest home movie – starring none other than Sparky of course. It is a great little moment, showing the love of film that Burton no doubt has and the love and obsession that kids devote to cinema. The narrative takes place in a strange little town populated by a cavalcade of rather strange folk. There is some quite black comedy throughout, especially involving the death of Sparky. Thematically, there is a real focus here on the role of science in society and especially the reception that science receives in some communities. The small town folk recoil at some the scientific ideas being taught to their children. It is clear which side of this ideological schism Burton sits, and whilst some of this is amusingly done, more is a little heavy-handed. If Frankenweenie falls a little flat at times, and I think it does, I think it can be attributed predominately to an undercooked script. There is nothing particularly bad about it, but a lot of it is missing the shot of spirit to really jump out and grab the audience. The film also moves at a relatively slow pace for a kids film, meandering along for large chunks of its running time. In addition there are some massive logical inconsistencies in what occurs. It is strange that I notice this, because typically I am happy for this kind of film not to have to worry about any of that. There are some great moments though. One is when the film shifts gear toward the end to an unveiling of various monsters. This plays out like a B movie mash-up, taking inspiration from Gremlins, Godzilla and numerous others. Overall Frankenweenie was a pretty satisfying experience, though it does not soar too high I don’t think. Having said that, it is one of the best looking animated films I have ever seen and any fan of old school horror should check this out for the delightful pastiche throughout. Great psot! 😀 Looking very much forward to seeing Frankenweenie. Thanks for commenting. Yep, Frankenweenie is definitely worth a watch. My nephew dragged me to Hotel Castlevania and I was expecting to want to gouge out my brain, but I actually kind of liked it. Haha, cheers for commenting. Hotel Transylvania (I think Hotel Castlevania is some SNES/movie crossover you have been dreaming of) far exceeded expectations. I wasn’t quite expecting eye gouging, but Adam Sandler was involved so I was not expecting too much more. What an odd slip of the tongue. I need to call Hollywood and tell them to make me Hotel Castlevania ASAP.